Today, we are celebrating the 20th anniversary of Final Fantasy VII! The original version of the video game classic was first released for PlayStation 1 on January 31, 1997 in Japan, and September 7 in North America and November 14 in Europe. And what would be the best way to celebrate this milestone? Well, showing new content from the upcoming remake, of course! Square Enix starting the anniversary year by revealing brand new key art from Final Fantasy VII Remake. In the artwork, you can see the game’s protagonist and mercenary Cloud Strife and his iconic Buster Sword set to the background of Midgar, base of the Shinra Electric Power Company. With the Final Fantasy series is turning 30 years old this year, you can expect tons of new announcements and details on Final Fantasy VII Remake coming later this year – alongside other brand new releases in the series. Will Sephiroth make an appearance in the next trailer? We shall see! Final Fantasy VII Remake is now in development for PlayStation 4 and will be a multi-part release. Square Enix has announced that Final Fantasy XII: The Zodiac Age will be releasing for PlayStation 4 on July 11, 2017. The HD remaster offers the first opportunity for the Western fans to experience Final Fantasy XII: International Zodiac Job System – a definitive version of Final Fantasy XII released exclusively in Japan nearly a decade ago. During the Final Fantasy 30th Anniversary Opening Ceremony event in Tokyo, a brand-new piece of Final Fantasy XII key art from famed character designer and artist Akihiko Yoshida was released as well. The HD remaster includes trophies, a newly recorded soundtrack with 7.1-surround sound, improved technical performance, auto-save, shorter loading times, high speed mode, a a 12-job character progression system and a new trial mode where players can take on monsters and enemies in up to 100 successive battles. Final Fantasy XII originally launched in 2006 for the PlayStation 2 takes place in the grand world of Ivalice, where the small kingdom of Dalmasca is left in ruin and uncertainty. Princess Ashe, the one and only heir to the throne, devotes herself to the resistance to liberate her country. Vaan, a young man who lost his family in the war, dreams of flying freely in the skies. In a fight for freedom and fallen royalty, join these unlikely allies and their companions as they embark on a heroic adventure to free their homeland. Square Enix has announced that Final Fantasy XV: Episode Gladiolus will be releasing on March 28, 2017. It will be available to players who purchased the Premium Edition or Season Pass and can also be purchased separately via the Xbox Marketplace or the PlayStation Store. Through this DLC, players can enjoy a new story depicted from Gladio’s perspective and learn what happened during the time he parted with the party in the main scenario. When facing new challenges and exploring the areas, Gladiolus will be accompanied with Cor Leonis. This offer the players a chance to also learn new details about “the Immortal Marshal” who was missing most of the time in Final Fantasy XV. Square Enix also teases that one of the franchise’s fan-favorite characters will also be making an appearance in the episode – Gilgamesh! Final Fantasy XV is now available for PlayStation 4 and Xbox One. The first story DLC, Episode Gladiolus, will be release on March 28, 2017. 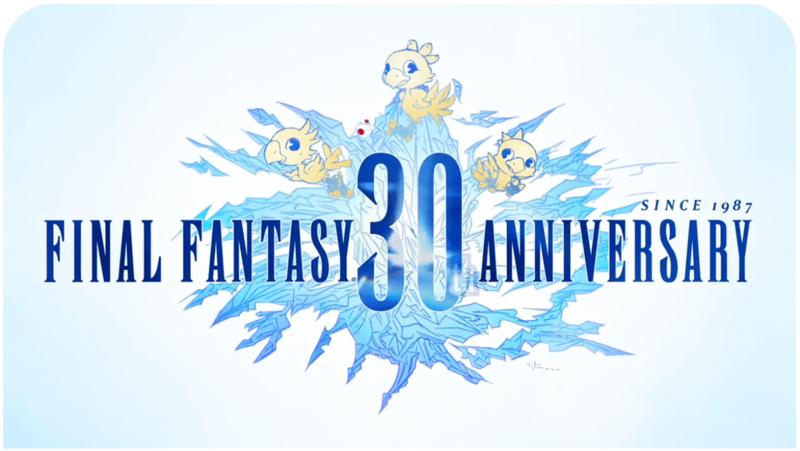 You can expect more Final Fantasy 30th Anniversary announcements coming later this year!